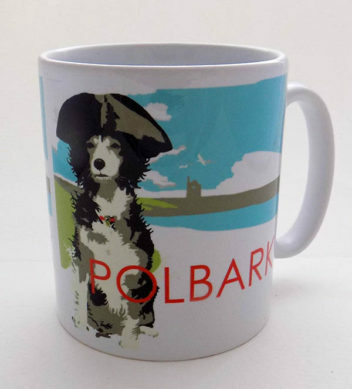 Love Poldark?Love Dogs? Look no further! A fabulous fun ceramic mug depicting Polbark sitting serenely on a beach somewhere in Cornwall! A woofily great mug for all your favourite beverages!